You'll be £7.79 closer to your next £10.00 credit when you purchase Night of the Long Knives. What's this? In the summer of 1934 Adolf Hitler planned and conducted the most ruthless purge of his thirteen-year period as leader of Germany. The victims were not political opponents but friends, colleagues and fellow fascists who had helped the Nazi Party in its rise to power. The Night of the Long Knives broke the back and the will of the Sturmabteilung, the SA, the brawling street thugs who had bludgeoned political opposition into submission. The SA’s ruthless bullyboy tactics played no small part in Hitler’s establishment of a dictatorship that was to influence affairs in Germany – and the world – throughout the 1930s and beyond. In some respects the purge was inevitable. Hitler had to eliminate all potential rivals if he was to consolidate his position of power. And that meant that friends like Ernst Röhm, former German Chancellor Kurt von Schleicher, and even former party comrades like Gregor Strasser were summarily shot without trial. Above all it was the SA that the army, the industrialists and, more than anyone else, Adolf Hitler feared. Röhm enjoyed a popularity that almost rivalled Hitler’s and so he had to go. It was also an opportunity to settle personal scores. 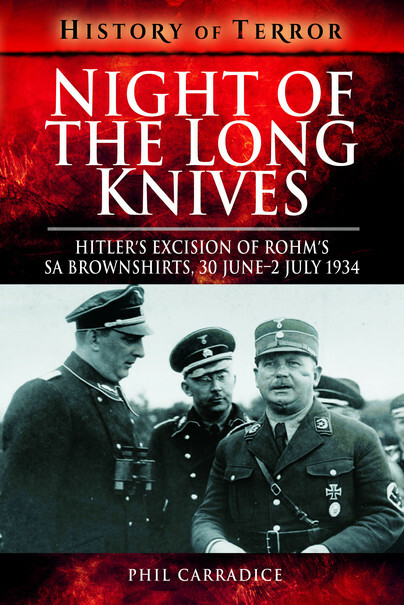 The Night of the Long Knives was a cull that eliminated somewhere between 300 and a thousand victims, the exact number has never been clear, many of them innocent of any intention to rival Hitler. It remains one of the most significant killings of modern times.